was made for only a few years in the 1850's. 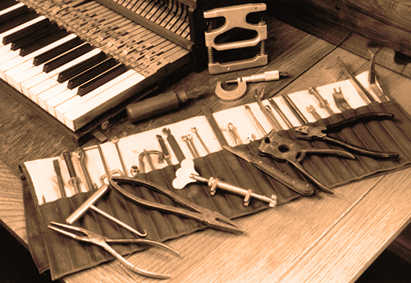 Many specialized tools, both large and small are used in piano restoration. 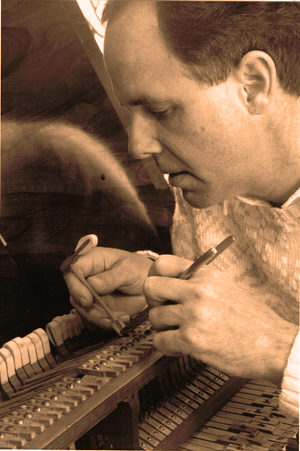 Although power tools have made some jobs easier, hand tools designed in the 19th century are still utilized on a daily basis when restoring and repairing high quality pianos. Select a tile at the right to view slide shows and learn more about Tom's piano rectoration. Plus visit factories where pianos and harpsichords are crafted.